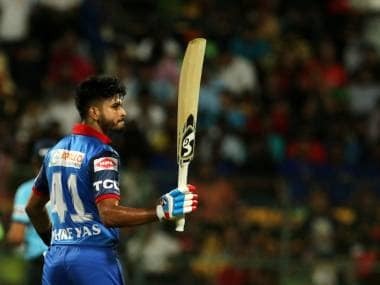 There are Indian Premier League teams that are the occasional giant-killers, pulling the rug from under the feet of the high-fliers. There are sides who start well but lose steam midway; there are some who start poorly but find themselves in the business end of the tournament. Sunrisers Hyderabad has caught the eye with consistency and become the epitome of seamless team-work. With IPL announcing the schedule for just the first fortnight, it would not be wrong to say that teams will feel some amount of uncertainty. 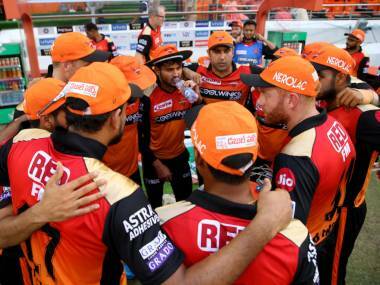 Yet, among the most expected events in IPL 2019 will be Sunrisers Hyderabad’s entry into the play-off stage. For, it wears the assured look that comes along with the balance and the match-winners in its midst. Then again, even a cursory look at the team composition will be enough reveal that coach Tom Moody and mentor VVS Laxman have more than adequate firepower to fall back on. It has the cohesion and adaptability that are the hallmarks of a winning side, each player aware of his role in the side and having the capability to execute the team’s plans. Together with skipper Kane Williamson, their biggest test was to keep Shikhar Dhawan motivated through the season last year. By all accounts, and with due credit to the opening batsman, they did an admirable job of that. If there was any stress in the team’s ranks because he was upset with the franchise, nobody became aware. The harmony remained undisturbed. Sadly, it had to let left-handed opener Shikhar Dhawan leave its fold, arguably because he was dissatisfied at having his salary more than halved in 2018. Having bid Rs. 12.5 crore for him in 2017, it released him into the auction pool and then used the right to match card to keep him in the squad for just Rs. 5.2 crore. Perhaps he felt let down and sought a release in 2019. Having managed to get to the 2018 final without the Australian opener David Warner, Sunrisers Hyderabad will expect his explosive batting to be available for a major part of the tournament this year. 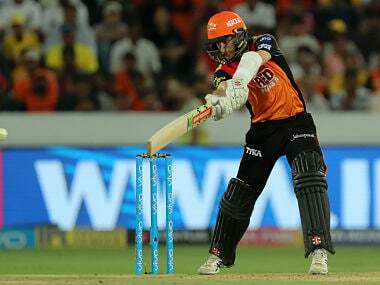 There is a possibility that Cricket Australia would ask him to return but Sunrisers Hyderabad has insured for that by adding New Zealand opener Martin Guptill to its squad in the auction. That it needed to buy just three players in the IPL Players Auction ahead of this season is a fair indication of the side’s stability. 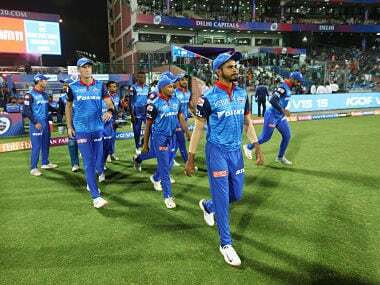 Of course, in letting Delhi Capitals secure Dhawan, it picked up three key players – India all-rounder Vijay Shankar, left-arm spinner Shahbaz Nadeem and young left-handed all-rounder Abhishek Sharma. By picking up Jonny Bairstow in the auction, Sunrisers Hyderabad has further strengthened its batting. Besides, his presence allows the team management the option of making him keep wickets to be able to include an extra batsmen or bowler for each game, depending on the nature of the track on which that match would be played. With Warner and Williamson likely to open the innings and Bairstow to follow them, the Indian middle-order batsmen may get only a handful of opportunities to showcase its skill. But Manish Pandey (or Deepak Hooda), Vijay Shankar and Yusuf Pathan are the sort who can provide thrust to the innings with their strokeplay. The Sunrisers Hyderabad bowling attack is just as potent, boasting of variety in its firepower. It has the fast-medium bowlers to not only restrict but also cause damage to the rival batting. And it has the spin bowlers who can keep the pressure on the opposition with their nagging accuracy and ability to claim wickets at frequent intervals. With Bhuvneshwar Kumar and leg-spinner Rashid Khan, among the most respected bowlers, in charge, Sunrisers will hope that Siddharth Kaul and left-arm seamer Khaleel Ahmed will hold the side in good stead this season as well. Vijay Shankar can be a back-up seam bowling option and Nadeem’s left-spin can add an extra dimension to the attack. Nadeem may get a look in, only if the team decides to leave Shakib Al Hasan from the XI to accommodate Jonny Bairstow. The Bangladesh all-rounder was integral to its plans last season. With Warner coming back and Bairstow added to its arsenal, playing the best four overseas players in each game could be Sunrisers’ biggest challenge. 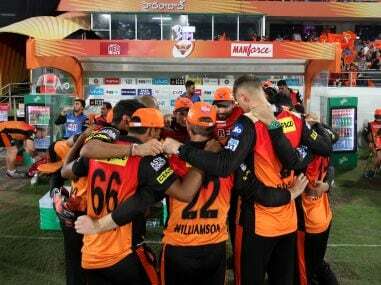 Of course, Sunrisers Hyderabad has reached the play-off stage four times in six years, winning the title in 2016 and losing the final to Chennai Super Kings last year. 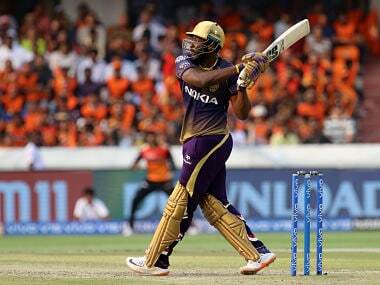 It will be fair to expect the team from the Deccan to get to the play-offs yet again. For a team that is expected to get to have another crack at the title this season, an appearance in the final is par for the course. A Shane Watson blitz kept the title away from Sunrisers Hyderabad’s grasp last season. 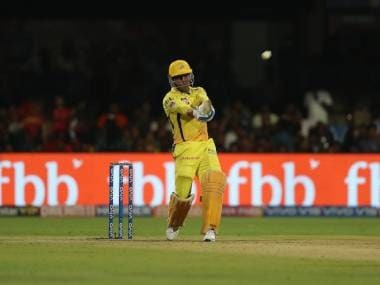 It will be determined to make a run for the crown this season, staring with a tricky game at the Eden Gardens against the Kolkata Knight Riders. Its fans can gear up to an exciting time, tracking the team express its ability to create its own destiny this season. Possible XI: David Warner, Kane Williamson, Jonny Bairstow/Shakib Al Hasan, Manish Pandey, Vijay Shankar, Yusuf Pathan, Wriddhiman Saha/Shahbaz Nadeem, Rashid Khan, Bhuvneshwar Kumar, Siddharth Kaul and Khaleel Ahmed.